MANILA, Philippines - Liberal Party (LP) bet Camarines Sur Rep. Leni Robredo won the vice presidential race against Independent candidate Sen. Ferdinand "Bongbong" Marcos Jr. based on TheSummitExpress' total votes forecast including the remaining election returns (ERs) and results of overseas absentee voting (OAV). In the probable vote counts (final, unofficial and giving full integrity to the results reflected on Comelec-GMA transparency server), Robredo is expected to edge out Marcos by more than 200,000 votes. As of 8:45 a.m. on Sunday, May 15, Robredo has 14,020,498 votes against 13,802,459 of Marcos or 218,039 lead in the race. The partial results represent 96.10-percent of the ERs (90,602 of 94,276 ) or (43,708,556 of 55,735,757 registered voters). On Saturday afternoon, results of OAV were posted online by Comelec Commissioner Rowena V. Guanzon. Marcos trounced Robredo by 86,734 votes. Overseas voting turnout set record of 31-percent (432,706 out of 1,376,067). Guanzon said that OAV votes will not be in the transparency server. It will be manually uploaded [to the central server]. The combined votes (PH partial and OAV) will cut the lead of Robredo to 131,305 votes. 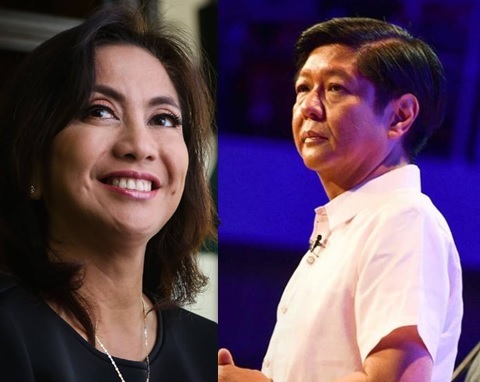 While the OAV counts are crucial to decide who will be the next vice president of the country, the remaining local votes that still to be transmitted to the Comelec server will be a big factor for the race. Comelec Chair Juan Andres “Andy” Bautista announced that the poll body’s voter turnout for the May 9 polls reached a historic 81.62 percent. Of the 55,735,757 million registered voters, about 45 million actually exercised their right of suffrage. The combined data from transparency server shows that 43,708,556 of local votes already counted. This adds to the 432,706 votes from OAV. The expected remaining votes stood at around 1.3 million votes. Based from the data of Inquirer for the precincts left until 100-percent transmission (as of May 13), the grand total of registered votes is around 1.2 million or can be translated to 1 million using 81.62-percent turnout. The Summit Express has calculated the most probable votes per province (areas have yet to transmit election returns) using the results map of Rappler (Who is Winning Where?) and the percentage votes of candidates based on transmitted returns. The idea is - the preference of the majority can be equated to the whole demography (including the sub-areas). Rappler.com results map: Marcos won in Northern Luzon and Metro Manila while Robredo dominated in Southern Luzon, Visayas and portion of Mindanao. Data analysis shows Robredo might get 366,402 as compared to Marcos' 287,638 total votes in the remaining precincts nationwide. The probable vote counts (PH final, unofficial including OAV) of Robredo and Marcos will climb to 14.48 and 14.27 million respectively. Reports said that official canvassing of votes for the presidential and vice-presidential election will most likely to start on May 25. It is the sole jurisdiction of the Congress sitting as the National Board of Canvassers, according to the poll body. Under the Constitution and the election law, there are two types of certificates of canvass (COCs) that Congress will use in its tally: the electronic certificates to be generated by the computerized consolidation and canvassing system and the manually accomplished COCs to be delivered by the provincial, city and special canvassing board to the Senate. Senate President Franklin Drilon could not give a timeframe on when the entire canvassing would be concluded, although they have until June 30 to proclaim a president and vice president. Disclaimer: The unofficial figures and sample computations above do not intend to create confusion, but it has a goal to give a quick analysis of the possible result of the vice presidential election.